Take a Bicycling Field Trip with your Family! | May is Bike Safety Month! Take a Bicycling Field Trip with your Family! Now that the weather is getting nicer, there are many great trails within the Fox Valley Region to explore with your kids. ABC Quick Check: Work with your kids to do the ABC Quick Check, which includes checking the Air in your tires, the Brakes on your bicycle, the Chain, the Quick Releases on your tires and take it for a short ride to make sure it is in working order. Bring Water and Snacks: Remember to bring water and snacks along for your ride. Helmet: Don’t forget to be a role model and wear your helmet. Remind your children of the hand signals to help motorists and other bicyclists to know where they are going. Obeying Traffic Rules and Stopping: Ride behind your children so you are able to observe how they are doing. Ask your kids to say/yell “stopping” whenever they are going to stop. This will help to minimize you running into your kids when they stop abruptly. Remember to obey traffic rules when riding your bike. Determining Your Route: If you are first starting to ride your bike on the trails with your kids, start with short rides and build up to longer distances. Pick a destination, like a park or a local ice cream establishment. It is a great way to motivate your children to get to the destination. Park and Ride: If you live far away from a trail, park your vehicle at a park and leave from there. Have Fun and Enjoy Time with Your Kids: Anytime you go for a bicycle ride with kids, you will likely stop several times along the way to look at a bird, a neat looking leaf or other unexpected discoveries along the way. This is a great way to spend time together and make memories. Track Your Mileage: Grab a Fox Cities Trails Map. Hang it up somewhere in your home and, after each ride, highlight the trail/s you took on that day. 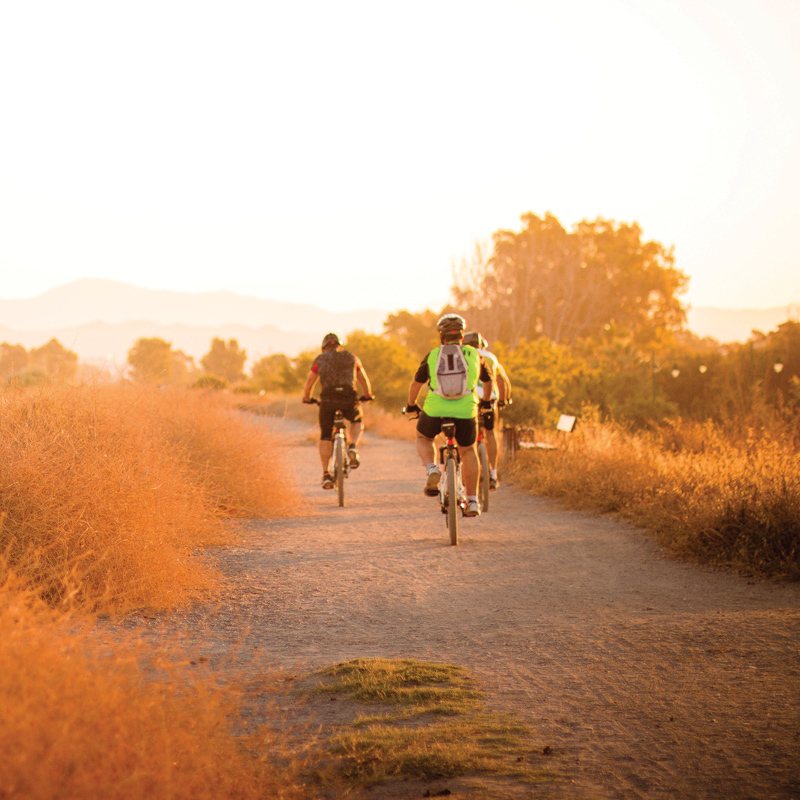 At the end of the summer, count the number of trails and add up all of the mileage that you rode for the summer!